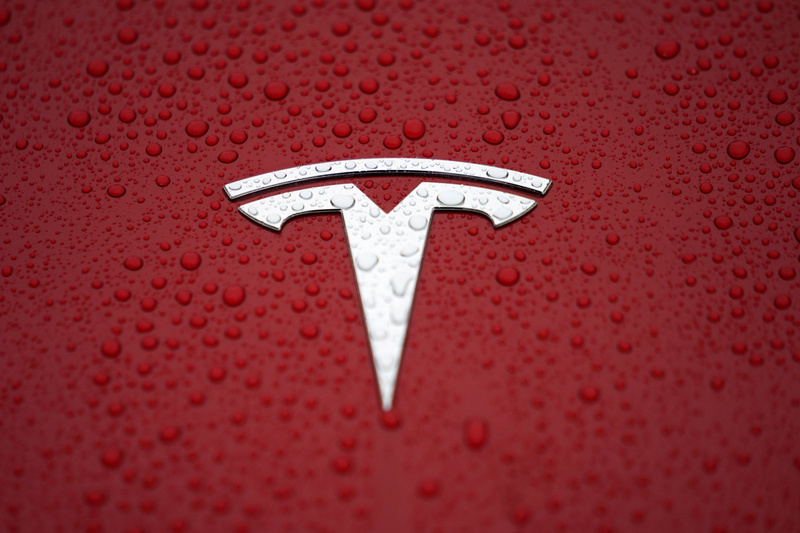 A Tesla logo is seen at a groundbreaking ceremony of Tesla Shanghai Gigafactory in Shanghai, China January 7, 2019. Tesla produced some 77,100 vehicles and delivered 63,000 in the first three months of the year, according to a company statement on April 3. That represented declines of 11 percent and 30 percent, respectively, from last year’s fourth quarter. Model 3 sedans made up the bulk of deliveries in the quarter at 50,900. The company produced 14,150 S and X models and delivered 12,100 of them. Around 10,600 vehicles were “in transit to customers” at the end of the quarter.